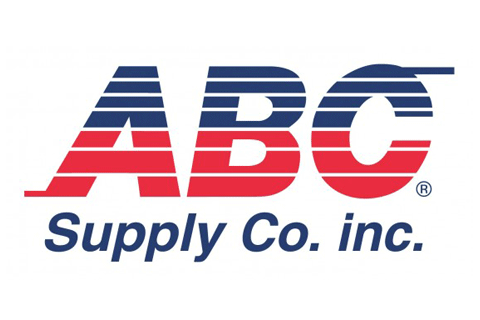 For more than 30 years, ABC Supply has been a partner in contractor’s success. With more than 490 locations nationwide, it is the largest wholesale distributor of roofing in the United States and one of the nation’s largest distributors of siding, windows, and other select exterior building products. ABC Supply offers an assortment of roofing materials for low-slope and steep-slope applications from industry-leading manufacturers, including metal, asphalt, composite, slate, cedar, single-ply, built-up and more, along with an array of accessories and related products. Professionals also seek out ABC Supply for its wide variety of siding – including vinyl, aluminum, fiber cement, engineered wood and decorative stone – windows, doors, gutters and rainware, and decking and railing. The ABC Supply Catalog Division offers more than 6,000 high-quality tools and specialty items, including hand tools, power tools, fasteners, caulk, sealants, ventilation, safety equipment, apparel, and accessories. With ABC Connect, contractors have the convenience of running their businesses from the job site or the office, day or night. The new online program integrates ABC’s products and pricing with leading industry software so contractors can visualize projects, build estimates and place orders quickly and easily whenever it is most convenient for them. The Solution Centers in ABC’s branches are premier destinations for product information and selection all designed to help builders and contractors enhance their productivity and increase profitability. The centers are also an ideal place to meet with customers, discuss product and finalize color decisions. Contractors can also benefit from using ABC’s Freedom Programs. The programs are a portfolio of products and services designed to meet the unique marketing needs of builders and contractors – helping save them time and money while growing their businesses. ABC Supply goes the extra mile with its Customer Service Delivery System. This system ensures accuracy, consistency, and efficiency throughout the buying process, from order placement to product delivery at the job site. Behind it, all is a team of nearly 8,000 associates committed to “making it easy” for builders and contractors. ABC Supply is an “employee-first” company that treats its associates with respect and gives them the tools, education, and opportunities they need to succeed. The company is also a proud nine-time winner of the Gallup Great Workplace Award, which honors the best-performing workforces in the world. It is one of only three other companies in the world to have earned the honor every year since its inception in 2007.